What is Inbound Marketing? - Wood Street, Inc.
What does any business or organization want most from their website? Conversion… turning a visitor into a fan, client, member, etc. What do you need to get conversions? Traffic! Do you simply want hordes of anyone and everyone coming to your website? Probably not. You want qualified traffic. So, SEO (search engine optimization) right? Yes. But there is so much more to it. In the past when we wanted to turn a stranger into a client or fan, we helped them with something. This still applies today. Inbound marketing is about attraction rather than promotion. In other words, inbound marketing is an all-encompassing term that refers to all efforts involved in attracting qualified traffic to your website. To me though, I think Jay Baer is on to something more in tune with where marketing is headed. 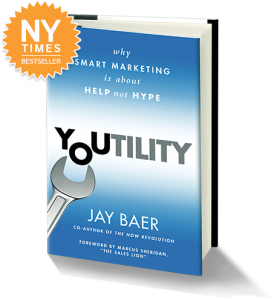 In his book, Youtility, he details how companies, large and small, are using marketing to be a hero to their target audience. I was talking to Ann Handley, co-author of Content Rules, about an upcoming seminar I was giving on Content Marketing. I asked her if she had to sum up her book in one sentence, what would it be? Welcome to the information age. Marketing is no longer just advertising. Marketing today is about usefulness. So, what does this mean for you? Well, it means that good marketing takes hard work. There is no way to throw money at this problem and hope it goes away. It will take money, but more than that, it will take time and passion! Go even further: fully explore and implement the concepts from Jay’s book. Youtility is about being there for the client when they don’t expect as well as when they do expect it. Listen on the client’s preferred channel, even if it is different from yours. 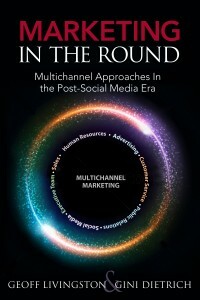 Another view on this I would recommend comes from Gini Dietrich and Geoff Livingston in their book Marketing in the Round. The premise being that companies today need to eliminate the silos in their organizational structure. Marketing is no longer a department. Marketing is a companywide mission. You can no longer dump money on the marketing department and say “get us leads.” It’s bigger than that. Every individual in each department could and probably will connect with your target audience in some way. Is your messaging consistent? Are your marketing goals clear to all who work for you? Are you involved? This is the new era of marketing and communications. Inbound Marketing – The Answer to your Marketing Slowdown?